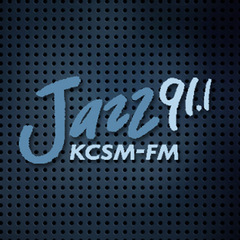 KCSM is is the only station in the San Francisco Bay Area with a 24-hour jazz format and one of the few remaining all jazz stations in the world. Hosts include veteran jazz musicians, educators, seasoned jazz broadcasters and often a combination of the three. Funded by community support, they craft extraordinary jazz programming, delivering the music and its related history to inspire and enlighten jazz listeners and artists worldwide. Patrick Wolff has been a professional jazz musician for 20 years, and he takes great pleasure in exploring the endless avenues and narrow alleys through the world of jazz. There's a wealth of classic sounds out there, and new music being made every day, but it can be daunting to stay in the loop! So each segment, he'll focus in on the work of one single artist who deserves your attention. It might be a fresh face turning ears in a distant land, it might be a forgotten master buried in the stacks of LP's, or it might end up being the cat playing at that place around the corner from your house. He'll play all of it- the abstract, the swinging, the outrageous and the courageous. Tune in, take a deep breath and get ready for some of the most stimulating and creative sounds in jazz. I'm Talking Jazz is a series where KCSM hosts sit down with a guest every week to talk about all things Jazz. Veteran jazz legends and up and coming movers and shakers are featured each week to give us a glimpse into their world of music and performance. The sound of surprise describes both Jazz itself and the enduring premise of "The Annals of Jazz". Since 1959, host Richard Hadlock has been improvising on historical themes and bringing forth worthy performers--from Armstrong to Zorn. Highlights from the 2018 San Jose Jazz Summerfest featuring performances from the Heritage Bank Cafe Stritch Stage.